Shop online for 13 dyna glues at discounts up to 30%. 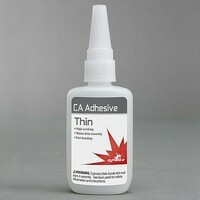 CA Super Glue is the most popular of the 4 dyna glues categories, then CA Super Glue Accelerator, and Miscellaneous. 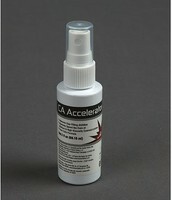 (bulk of 12) CA Accelerator Pump, 2 oz. (bulk of 8) Gap Filling CA, 1 oz. (bulk of 12) Foam Safe Activator, Pump 2 oz. (bulk of 4) CA Accelerator Pump Refill, 8 oz. (bulk of 8) CA, Medium, 1 oz. (bulk of 12) CA Debonder, 2 oz. (bulk of 8) CA, Thick, 1 oz. (bulk of 8) Gap Filling CA, 2 oz.